The initial version of macOS High Sierra released this morning limits the new Apple File System (APFS) to Macs that have all-flash built-in storage, excluding iMacs and Mac mini machines that feature Fusion Drives. Apple announced the limitation last week in a support document that said the initial release would not allow Fusion Drives to be converted to APFS, implying future support, and now Apple software engineering chief Craig Federighi has confirmed APFS will indeed be coming to Fusion Drives in a later update. Federighi shared the info in an email sent to MacRumors reader Michiel, who asked if APFS would be added later. "Yes, we plan to add support in a future update," replied Federighi. 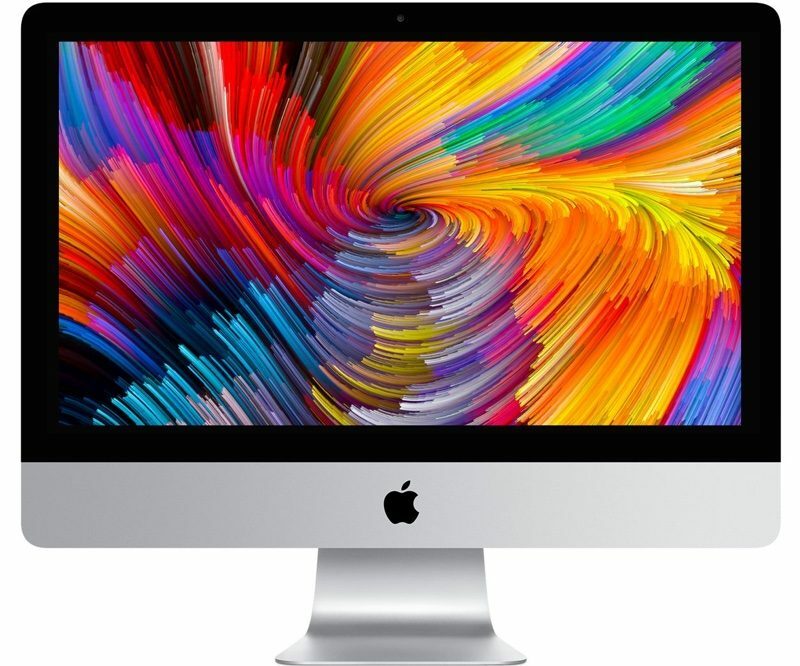 Fusion Drives, available as a storage option for Apple's iMac and Mac mini desktop machines, combine a hard drive with flash storage to provide the speed of an SSD with the affordability of a standard hard drive. Frequently accessed files are stored using flash storage, while less frequently used files are moved to the hard drive. The first macOS High Sierra beta released in June did include support for Fusion Drives and converted iMacs and Mac minis to APFS, but support was removed in subsequent betas and was not reimplemented, presumably due to stability problems and bugs with the feature. Apple File System is a more modern file system than HFS+ and is optimized for solid state drives. It is safe and secure, offering crash protection, safe document saves, stable snapshots, simplified backups, and strong native encryption. Developers who happened to install APFS on their machines have been provided with instructions for how to convert back to HFS+ for the time being. Apple's macOS High Sierra press release also confirms the company's plans to introduce APFS support for Fusion Drives and standard HDDs, but Apple has not offered a timeline on when we can expect the APFS update to be released. Of course they're going to add support. Apple absolutely loves mechanical hard drives. They are so fast to ditch legacy tech, yet for some reason they just refuse to let go of mechanical hard drives. Sweet Jeebus. What isn't coming in a future update? :rolleyes: One could be forgiven for thinking Apple has adopted the video game industry's motto: Release now - patch later. I can deal with that if it’s adding features rather than patching data destroying bugs. I’d rather roll out features as they’re ready over time than try to release “feature complete” and not quite get it right. It’s not like I paid for anything here expecting a feature that isn’t ready. At least we know they're working on it. Except with the video game industry, you pay $60 for an incomplete product. In this case, you get a perfectly fine operating system, for free. They chose to delay a feature because of (presumably) reliability issues, and you'll get that later — but it doesn't make the user experience worse than the predecessor 10.12.x, and it isn't essential. It's a fetish; the slower the better. The 7,200 spinners included back in 2010 were too blazing fast, so they cut back to 5,400 spinners for today's products. Apple is right on the bleeding edge, using hard drives in $1300 machines that were found in budget laptops over 20 years ago. But I have no complaints. Who needs a SSD?! I turn on my iMac first thing in the morning when I wake up and by the time I come home from work that evening the machine is almost finished booting. Works great for my needs! Will High Sierra's APFS work with third party SSDs (upgraded from standard spinning HDD)? Yeah, it works on third party SSDs. In my MBP, I have an OWC SSD and the High Sierra installer converted it to APFS. Seems to be working fine.